When crowds march in step the flow rate can increase. There are a number of environments that this can happen, such as city commuters, marches to music, etc. We illustrate this by asking the group (now at 5 people per square metre) to march in step. 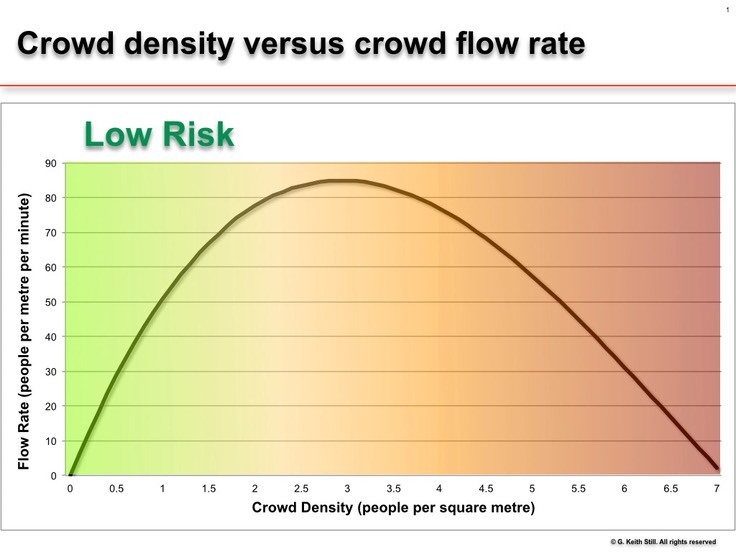 You can see the increased flow rate in the video clip above).�Movement starts to become constrained if the crowd is either a mixed population or, as you can observe this at any busy rail station, there is one person walking out of step within an ordered crowd.�The flow rates drops as shown in the graph below.